Off-season Rates starting at $239 per night. Valid for Sun-Thurs stays through April 12. Please click on Availability/Book Now above for specific availability on these special rates or call us at 831-372-4341 (8am-10pm PST). Some restrictions apply and not valid during holiday periods from Nov. 22-25, Dec.26-Jan.6, Feb. 7-10, Feb.16-18, April 1-7. This special rate cannot be combined with any other specials. Senior Value Rates starting at $269 per night for Sun-Thurs stays. Please call us at 831-372-4341 (8am-10pm PST) for these special rates. Value Room Rates are not offered during certain holiday periods, special events or during the winter season when the lowest rates of the year are in effect. To be eligible for the Special Senior Rate at Seven Gables Inn, one person staying in the guest room must be 60 years of age or older. Returning 4th Stay Value Rates starting at $269 per night for Sun-Thurs stays. For guests who have stayed 3 separate stays, Seven Gables Inn is pleased to offer a special reduction off our regular rates on the 4th stay on all our hotel rooms and luxury suites. Once this 4th stay has been applied, guests must stay at Seven Gables Inn an additional minimum of 3 separate stays in order to receive our Value Room Rate again. 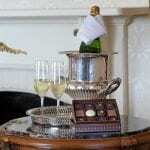 Personalize and enhance your visit to romantic Seven Gables Inn with one of our wonderful packages that will be waiting for you upon your arrival. In addition, there are Seven Gables special gifts that may be purchased and sent to you as a remembrance of your stay. Please give us a call at 831-372-4341 from 8am-10pm (Pacific Standard Time) for assistance with your purchase. Below is a list of the Seven Gables Packages and Add-Ons. Please review them here and if you choose to add one or two to your stay, you may select them in our online reservations page or simply give us a call. 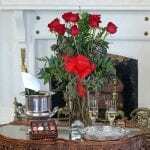 One Dozen beautifully arranged, long-stemmed, premium roses arranged in a tall glass vase. 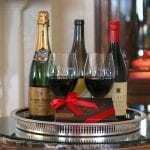 A bottle of Francois Montand French Champagne or red or white premium Monterey County wine. 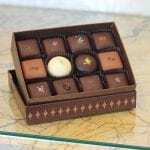 12 piece box of Lula’s gourmet chocolate truffles specially selected for Seven Gables. 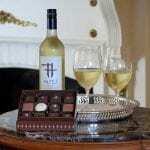 Featured are a variety of dark, milk & white chocolate truffles. 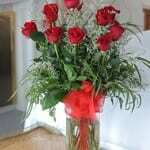 One Dozen beautifully arranged, long-stemmed, deluxe blooms arranged in a tall glass vase. Treat yourself to a relaxing and luxurious 60-minute massage by local certified massage therapists. Please call to make sure your room can accommodate an in-room massage. Other off-site options are available close to Seven Gables Inn. Strawberry Frasier white cake with strawberry filling and whipped cream. Please indicate which of the options you desire. 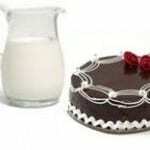 This is served with a carafe of cold milk. Featured are a variety of dark, milk & white chocolate truffles. Choose from four different colors: White, Cream, Silver Blue and Grey. Luxurious and feels like 600 count cotton. Breathes well for all year comfort. Easy care wash and low heat dry. Softer with each washing! Durable to last 300 washings, treated for stain release. Sets include 18″ deep fitted sheet, flat sheet and 2 pillow cases. 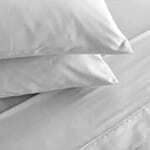 Sheet sets also available in additional sizes and colors by special order.